You are all invited to the First-Ever Parenting Academy of February 7, 2015!!! 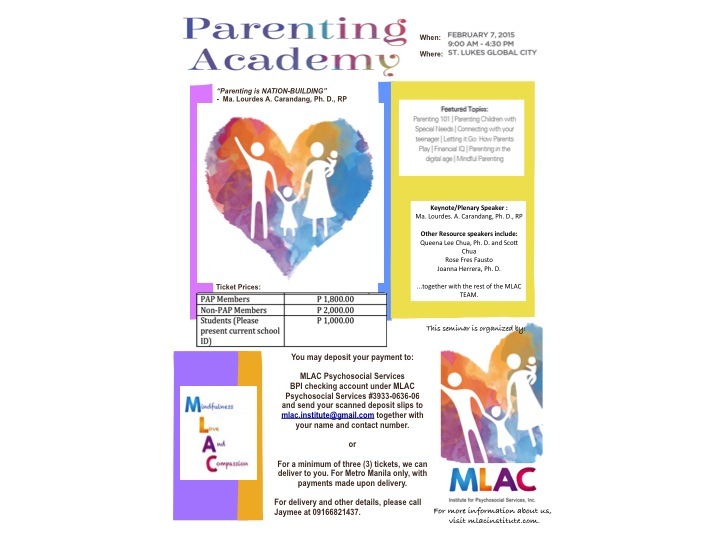 Previous You are all invited to join the 1st ever Parenting Academy by MLAC! Next You are invited to the first ever Parenting Academy on Feb.7, 2015!